Why Digital Marketing Is On Rise in India? Let’s Talk Numbers! Home > Blog > Blog > Why Digital Marketing Is On Rise in India? Let’s Talk Numbers! 2013 has been a year of internet for India and that internet reached a turning point in the country this year. The growth in internet penetration in the country has led to a substantial growth of other digital industries such as e-commerce, digital advertising and so on. However, for now let’s not talk much! 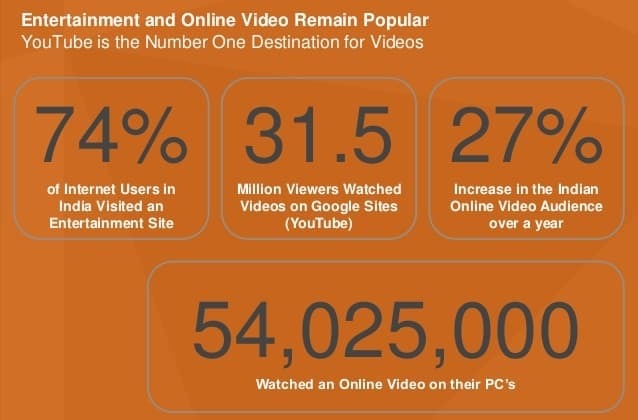 Instead have a look at a few numbers related with digital marketing in India and see how the latest trends in web usage , mobile and search, social networking, shopping and online video are shaping the Indian digital marketplace and what it holds for the years to come. By adding 17.6 million users in 2013 and exhibiting a year-over-year increase of 31%, India becomes to be the world’s third largest internet population leaving behind Japan. While in 2012, Mobile Internet grew 111 per cent, during 2013 the growth was 63 per cent. India registered a YoY of 28 per cent in 2012 and a YoY growth of 39 per cent in 2013 as far as the number of internet users is concerned. 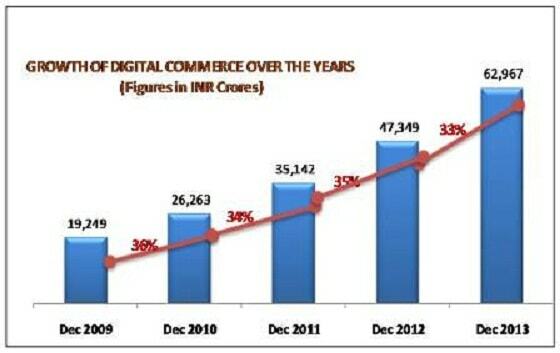 While in December 2007, the digital commerce market stood at Rs. 8,146 crore, by December 2012 it was worth Rs. 47,349 crore. By December 2013, digital commerce in India grew to a whopping Rs. 62,967 crore. The segment witnessed 35 per cent growth between December 2011 and December 2012 while it grew by 33 per cent between December 2012 and December 2013. 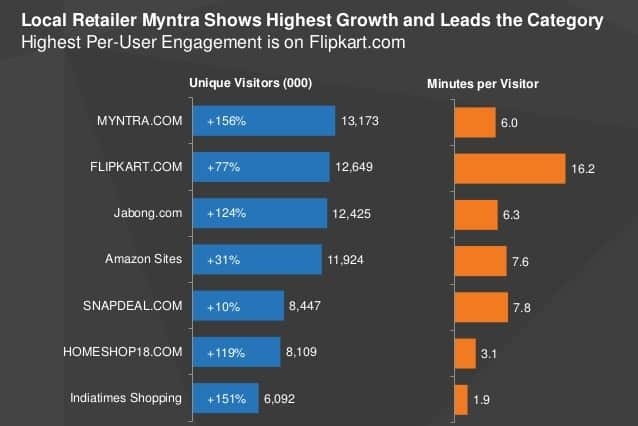 Of the total online market products, consumer durables account for 34 per cent, apparel and accessories 30 per cent, books 15 per cent, beauty and personal care 10 per cent, and home and furnishing 6 per cent. Over 50 per cent of sales in these product categories take place in non-metro cities. Facebook continues to be the number one social network and LinkedIn as number two while Pinterest and Tumblr are the fastest growing networks. Hopefully, I need not tell you why digital marketing is on rise in India as the numbers were more than enough to do so.